Two workshops (the first at M6 and the second at M11) will be organised as part of the PRE-LEAP-RE project. As strong dissemination vectors, they will target a wide range of renewable energy actors in Europe and Africa. 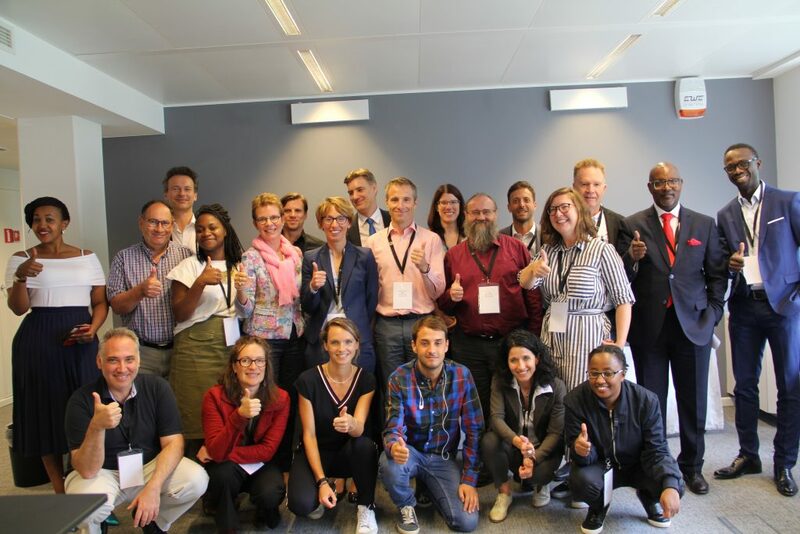 These events will allow the project to reach out and engage all targeted audiences: they will be structured and announced well in advance to ensure maximum turnout and may be organised back-to-back with another related European or African event for increased efficiency and impact. The project PRE-LEAP-RE is pleased to invite you to the first strategic workshop in Brussels on Thursday, 6 and Friday, 7 December 2018. The workshop is hosted by the PRE-LEAP-RE partner EIT InnoEnergy |EU Business Unit situated at 7 Rue Guimard, 1000 Bruxelles, Belgium. PRE-LEAP-RE is a project funded by the European Union and will prepare, with African and European partners, a joint programme for research in the area of renewable energy, LEAP-RE. It’s official! The second PRE-LEAP-RE workshop will take place in South Africa and will hold from 24-26 June 2019. Stay tuned for more information on the venue and registration! Want to collaborate with us? Send your further questions to contact@leap-re.eu for more about our workshops!